Learning, Fun & Friends for Girls! Then play our quizzes that let you earn $coops. 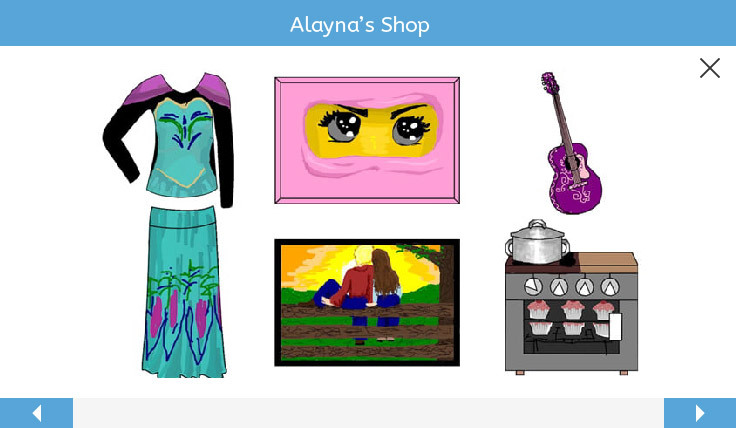 $coops are cool because you can buy castles, furniture and artwork, and clothes for your avatar! Did you know you can design clothes, furniture, and artwork on Always Icecream? 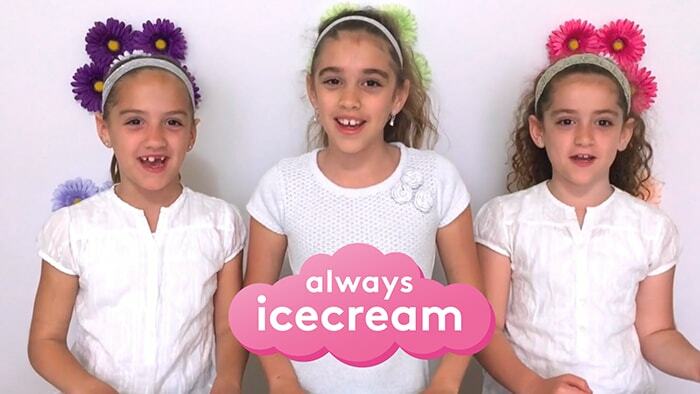 Learn from the popular Crafty Girls (yes they are Always Icecream members!) how you can make great videos! 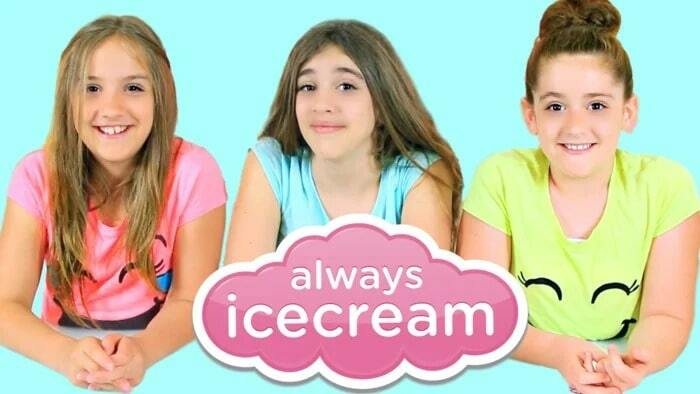 And make sure to check out the creations of other Always Icecream girls too. 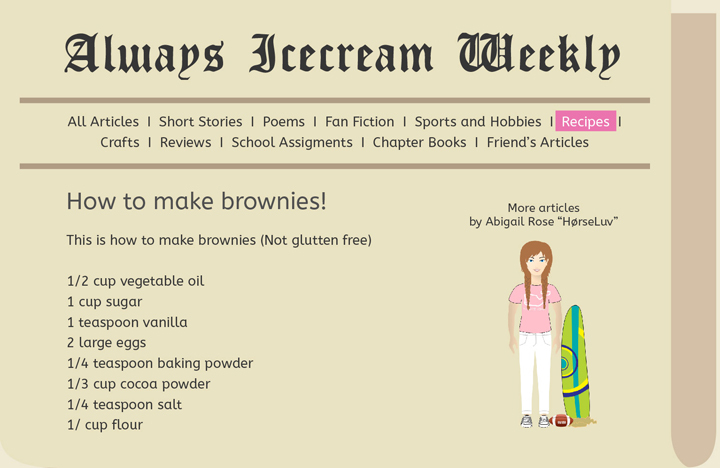 Become an author for the Always Icecream Weekly! Other girls can read your article and you will also earn valuable $coops! Race others by answering questions as fast as you can - and earn $coops! Everyone gets a cute, jumpy egg on Always Icecream. If you take care of it, it will turn into a dragon! Make friends and share your stories with other girls. Wow - now you can try out Always Icecream for one month for only $1.99! Our daughter absolutely LOVES Always Ice Cream. As soon as she is finished with her school work that is the first thing she asks if she can do. We love how much she enjoys it and that she is learning while she is having fun. 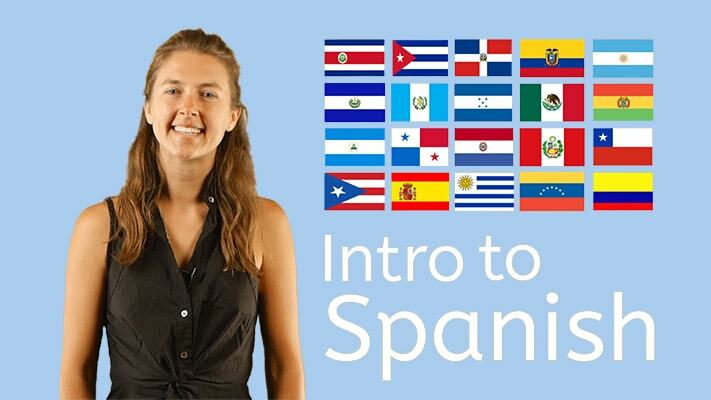 This adventure adds just the fun needed to make school enjoyable! Very happy with the program. Encouraging when struggling with concepts.